Periodically, RWA hold roadshows around the country. The next Roadshow is to be held in Adelaide, South Australia on the weekend of June 14-15, 2014. 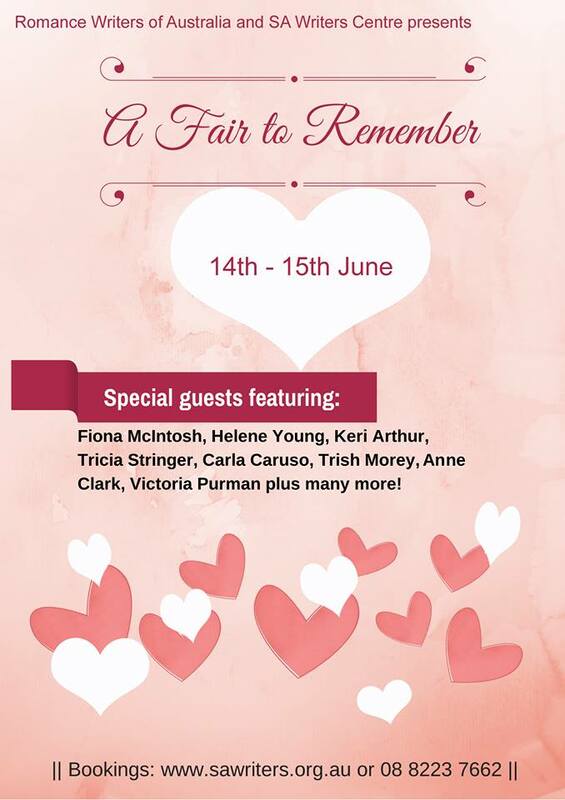 A weekend for writers and lovers of romantic fiction. Stop penning those love letters, switch off that romcom, and forget those roses – it’s time for our inaugural genre fair – and this year it’s romance! 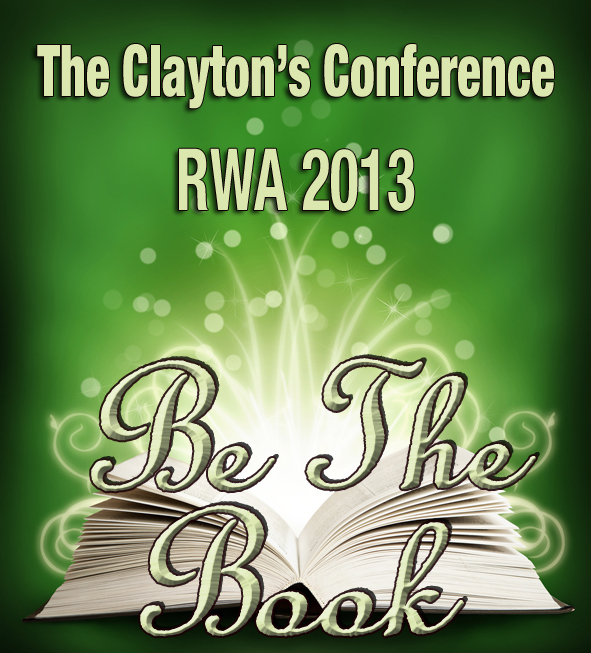 RWA and SAWC have come together to bring you two days of whirling workshops, panel sessions, masterclasses, industry advice, meet the authors sessions, book signings, masterclasses and more. And on the Saturday night it’s the fundraising event of the year: our romance-themed lit quiz night. An irresistible festival to fall in love with! Featured speakers are Fiona McIntosh, Helene Young, Keri Arthur, Tricia Stringer, Victoria Purman, and Trish Morey. We also have many more Guest Speakers appearing in panels and conducting workshops, including Amy T. Matthews, Anne Clarke, Bronwyn Stuart, Carla Caruso, Cassandra Dean, Eleni Konstantine, Elizabeth Rolls, Helen Katsinis, Kyoko Church, Robert Moore, and Tamara Gill. For information on all our speakers, please see our website. 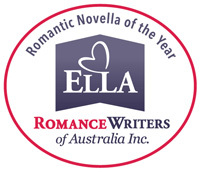 ROMANCE WRITERS OF AUSTRALIA MEMBERS – to obtain your discount, please book via 08 8223 7662 during Centre opening hours or email admin@sawriters.org.au . SAVE $40 when you book for the whole weekend. note: the SAWC website has been having technical problems. Please call the SAWC if you experience any difficulty. Harper Collins and its stable of publishers are hosting an online romance writers festival next weekend June 7-8. It’s free to register (US time). Its time to come along to the RWA forum and sign up for the free RWA event that gets you writing: 50ks in 30 days is fast becoming a twice-yearly institution in the RWA calendar. In this event, you get to specify your word goal. Not everybody aims for 50,000 words, sometimes writers aim higher and sometimes, for very good reasons, writers aim lower. If you are a first-time entrant, and you find the prospect of signing up to write 1667 words per day for thirty days in a row daunting, DO IT ANYWAY! You never know your awesomesauce limits until you push against them. If you have been with us before, you know the benefits of the 50k community. Join up. Join in. Just Write! This is an RWA-only event, but if you have writer friends who are teetering on the edge of joining up and who would benefit from some writing community, please encourage them to join up and join in. See you in the 50ks in 30 Days area of the Events room in the forum. Also on #50k30D Twitter/Facebook. Rachael Johns wowed Australian viewers on Channel 7’s Sunrise this week. 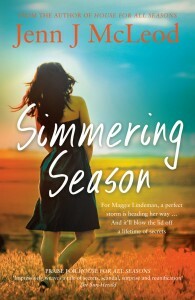 In Kate Forsyth’s only Melbourne appearance, participants will be introduced to key aspects of writing the first draft of their novel – from finding and developing their idea (plotting and planning) to making the right choice when considering point of view and narrative voice, plus the complexities and wonder of structure in Kate’s highly-anticipated Story structure masterclass. Amy Espeseth’s writing workshops will build on Kate’s teachings about writing your first draft such as – learn how to create complex, believable characters, gain insights into the role of dialogue, and understand the intricate interplay between character motivation, and the arc of your story. Amy will also discuss what it means to be a writer, and offer ways to stay motivated while writing your first draft. Improve Your Acceptance Chances – Have your first ten pages assessed twice by a professional. You only get one chance to make an impression on an agent or publisher and get their interest. If you haven’t done this by the first ten pages they won’t read further. Don’t waste your first chance. Our professional agents or editors can help you improve your acceptance chances by working with you on the first ten pages of your manuscript. Work with a professional to give you specific feedback on what keeps someone reading your work and what common mistakes turn them off. Our professional literary agent, Alex Adsett, has extensive publishing experience and is willing to help you attain your goals. This group meets monthly and is for those who are writing or have written a novel and would like to meet like-minded people for critiquing and support. This group critiques everything from novels and memoir to poetry, articles and short stories. It meets once a month on the third Thursday of each month and has a number of very experienced writers in it. All information plus the entry forms for 5DI (5 day manuscript development workshop) are now available on the website. This is a fabulous opportunity for aspiring and emerging authors. This Festival featuring Special Guest Rachael Bermingham will help to realise your dreams of personal and financial success. This is suitable for EVERYONE!!! Highlight event will be the Follow Your Dreams Cocktail Evening with complimentary drink on arrival, door prizes, full canape catering, live cabaret entertainment and inspirational keynote speech. This Festival is proudly sponsored by the Shire of Mundaring, the Department of Culture and the Arts (WA), Lion Mill Vineyards and Little Black Dress Productions, and with support from Dymocks Ellenbrook and Guardian Pharmacy Ellenbrook. For more details or to book email kspf@iinet.net.au or phone 92941872. The Bellingen Readers and Writers Festival has become a popular annual cultural event showcasing leading authors and celebrating all things literary. With workshops, talks, forums, book launches, competitions, entertainment and school programs, its a diverse and inspiring weekend with something for everyone. The Mildura Writers’ Festival brings together some of Australia’s best writers in an intimate, winter program of workshops, lectures and discussion forums. We are seeking donations for both the quiz night (raising funds for the SAWC) and as door prizes for the Fair weekend. 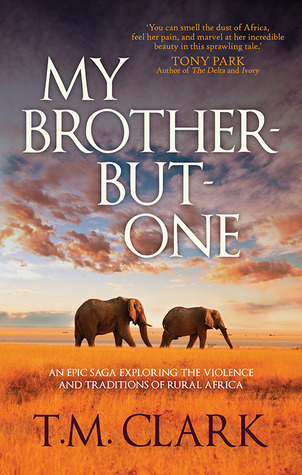 Signed copies of books will work a treat but anything you can spare would be very much appreciated. 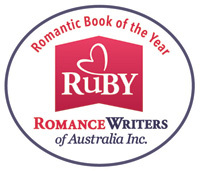 Please email Helen at roadshow@romanceaustralia.com with details. An informal book signing with T.M.Clark. You are welcome to join me at the cafe for an informal chatter, something cold or hot in the chocolate range if you want to, and get your book signed. I will bring some books with me to sell too. Nicole Murphy runs occasional writers events and science fiction conferences. Her latest venture is Conflux Writers Day, a one day professional development opportunity for writers of speculative fiction – that is, fantasy, horror and science fiction to be held on Saturday April 5 in Canberra and is calling for writers to present. The Call for Abstracts for the Conflux Writers Day closes October 31, 2013. For more information on the call for abstracts, including an example of an abstract, go to http://conflux.org.au/conflux-writers-day-2/call-for-abstracts/. Your insight or advice could be just what a fellow writer needs, so please get involved! Beyond Q Bookshop will be launching Susan’s debut novel, ARAFURA. Refreshments will be provided. This is a free event but numbers are limited. Besides being a romance novel with a criminal twist, ARAFURA encompasses other themes including Post Traumatic Stress Disorder, Indigenous education and domestic violence. Details for this year’s program of industry workshops, discussion panels, and feature events are now live on their website. They’re covering everything from the craft of writing, selling your work, building your career, and researching the little details that keep your stories ticking. More importantly, the program will feature over forty writers, editors, publishers, and other professionals who have agreed to donate their time and expertise to make the GenreCon weekend a fantastic experience. Still haven’t got your GenreCon pass? They’ll be taking online registrations until October 8 and tickets will be available at the door. Let’s end the year with a bang! With a YEAR-END SPLASH (YES!) PARTY in the month of November! More exciting games and prizes for readers, and at the same time, more exposure for your books. If you wish to participate in this promotional opp contact Carole at carole@theromancereviews.com or visit the website at http://www.theromancereviews.com. Due to the expected huge volume of email, please allow me to get back to you within 10 days before sending a follow up email. Romance writers know that there is a big community of romance readers on Goodreads, and this course will outline how to reach those readers using the Goodreads Author Program. Topics covered will include optimizing your author profile and book page, running a successful giveaway, increasing awareness of your book with paid advertising, and guidelines for interacting with readers. Drawing from actual data and real-world case studies, the course will illustrate how other authors have successfully promoted their work on Goodreads. The class will take place on an RWA U forum in myRWA. 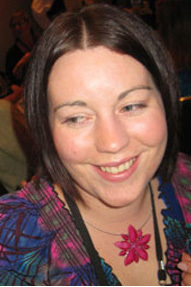 Presenter: Cynthia Shannon, author marketing coordinator at Goodreads. Cost: no cost to members. FMI: http://rwa.org/rwau or e-mail RWAUniversity@rwa.org with questions. Scrivener is the premier application for the creation of novels, novellas, and like works. This course will teach you, the writer, how to best use Scrivener for everything from planning your scenes to generating output for your critique group, e-reader, or publisher. Lectures will be presented in a video format with written summaries. One evening a week the instructor will have a live question/answer period using audio/video and screen sharing to best answer those tricky problems. Mary Hawkins loves to share with other romance writers. She is presenting a workshop at this year’s CALEB Conference. The CALEB is the yearly conference for Christians who write for the general or Christian Bookshop markets. Her workshop is called Masterclass – Romance and she will be sharing what romance readers – and editors – expect and look for in sweet and inspirational romance books, and hints how the writer can give romance readers page-turning, satisfying reads. Are you committed to writing, but not sure how to get started? You have a story idea, and are overwhelmed by the complexity of the task? Or you’ve started, maybe even published, and you want to explore and improve your craft? Perhaps you’re considering the path of self-publishing? The Write Chicks are multi-published romance fiction authors, Shannon Curtis and Paula Roe. Together, they have over 12 years’ writing experience. They will be joined by Jennifer Brassel, published author and creative writing instructor and for one day these professional authors will share their experience and techniques for writing and publishing in an intensive seminar designed to boost your own skills and knowledge. Whether you’re looking to learn something new, or wanting to hone your craft, this writing boot camp will deliver value for money. Three authors. Intense, comprehensive sessions. One event. Where: Novotel Parramatta, 350 Church St, Parramatta. Thanks to Romance Writers of Australia’s Grant Scheme Melbourne Romance Writers Guild have Toni Jordan, an acclaimed author and teacher of creative writing at RMIT University, presenting a seminar on Rhythm and Pace, in Melbourne. 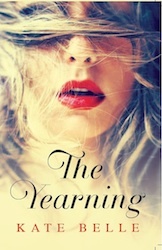 Where: The Melbourne Romance Writers Guild, Fitzroy Library, Moor Street, Fitzroy (please book early). *Places are limited so please get in early. 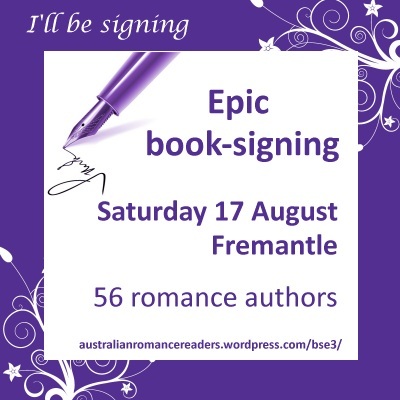 Want to know which of your favourite authors will be signing? Click here. SECRET CREEK Writing School is dedicated to inspiring children, and adults alike to become aware of their unique power as readers, writers and creative thinkers! We offer small group tuition for children as well as day and weekend writing courses for adults. Come and have a look at what’s on offer…. Keep up to date with Random House Australia’s calendar of events including upcoming author appearances, tour dates and special events.